Today is yet again time for a really easy recipe. This time it is peanut butter protein balls. The recipe makes 12 little balls. This is so easy! First melt your butter and coconut oil a little bit in the microwave, then add peanut butter and mix well. After that add in your protein powder and coconut flakes. Taste a little bit. If it needs to be sweeter, add some sweetener of your choice. You can also add seasonings like cinnamon etc but I prefer them as is. Let the dough sit in the fridge/freezer for a little while until it is moldable. Then roll the dough into 12 little bite sized balls and put back in the fridge. Let them set completely for about 30 minutes. And you’re done! 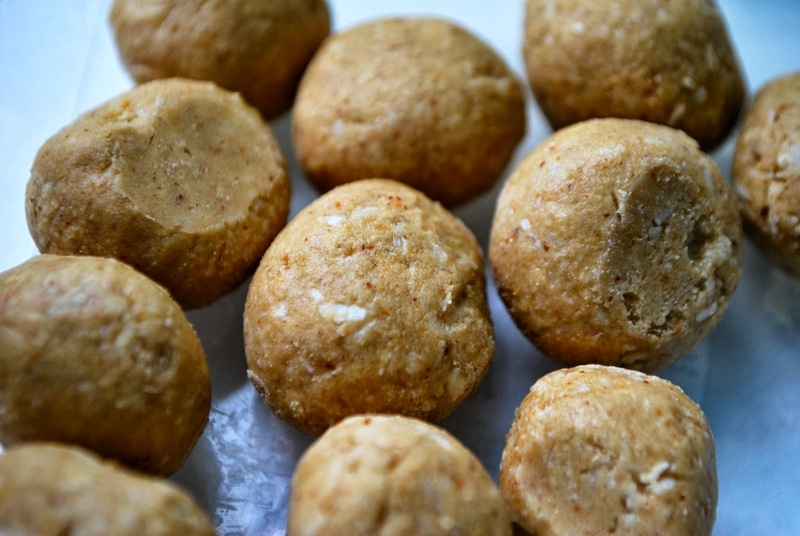 Enjoy your peanut butter protein balls. The whole recipe is 360 kcal, 20 grams of protein, 10 grams of total carbs (of which 2 grams is fiber), 24 grams of fat. If divided into 12 balls, each ball is 30 kcal, 1,66 grams of protein, 0,83 grams of total carbs (so net carbs comes to 0,66 grams per ball), 2 grams of fat.